8 Ice Cream Of The Month Clubs To Keep You Screamin’ For More! while you're at it. PPS. You know what goes well with ice cream? Cake. eCreamery specializes in creating amazing frozen treats, making them an ideal subscription choice. If you’re going to get ice cream delivered, relying on a high-quality company just makes sense. eCreamery is one such choice. Their entire focus is on ice cream, including many different options for gifts and for special occasions. 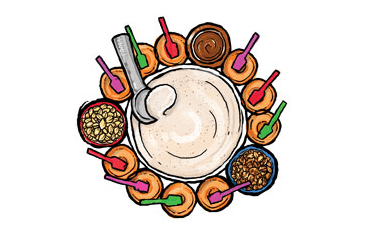 eCreamery's Flavor of the Month Club offers a way to try out multiple different types of ice cream. With it, you receive 4 pints of ice cream every month. These are each a different flavor and many are unusual. In fact, eCreamery often creates distinct flavors, ones that you will not find anywhere else. The club isn’t as expensive as you might expect either. A 3-month membership costs $169.99, which averages to around $57 per month. Not a bad price for 4 pints of ice cream to your doorstep each month. The monthly price stays roughly the same regardless of your membership duration and there is no month-to-month version. This is the ice cream offering from Amazing Clubs. If you can imagine a type of club, Amazing Clubs probably has it. The site has an extensive selection of different memberships, including this Ice Cream of the Month Club. The club focuses on small-batch gourmet ice cream. It provides you with 4 different types of ice cream each month, all in 1-pint containers. 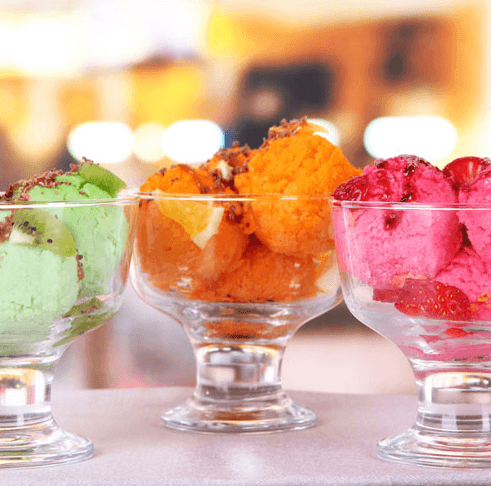 Amazing Clubs mentions that the ice cream always relies on fresh and all-natural ingredients. The site also highlights the flavors that have been included previously. However, there are few details about the companies who produce the ice cream. The club costs $54.95 per month on a month-to-month or a 3-month membership. You get a slight discount per month if you sign up for a 6-month or 12-month version. While this ice cream club isn’t cheap, you will be getting high-quality ice cream every month. At $79 per month, the Goldbelly Monthly Ice Cream Subscription might make you hesitate. Even so, the subscription is well-worth considering. 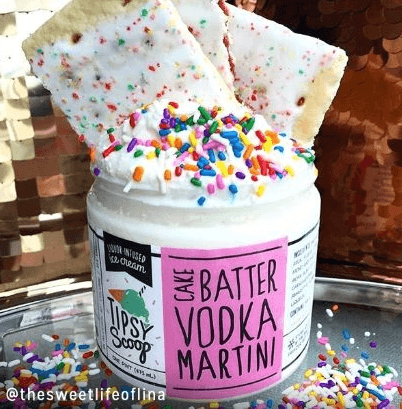 It can include some extremely good flavors, like Cake Batter Vodka Martini ice cream. You’ll often receive pints of regular ice cream, but sometimes you might get ice cream sandwiches instead. The club also provides more ice cream than most other options. You’re typically receiving between 5 and 6 pints of ice cream every month. This may include multiple flavors. In other cases, you’ll receive 6 to 24 ice cream sandwiches. The amount of ice cream is perfect if you want more than one person to enjoy the frozen treats. This ice cream company offers some fantastic new flavors for you to try. Salt & Straw is another great company for ice cream. They feature many of the common flavors, as well as options that you won’t see as often, like Apple Brandy & Pecan Pie. 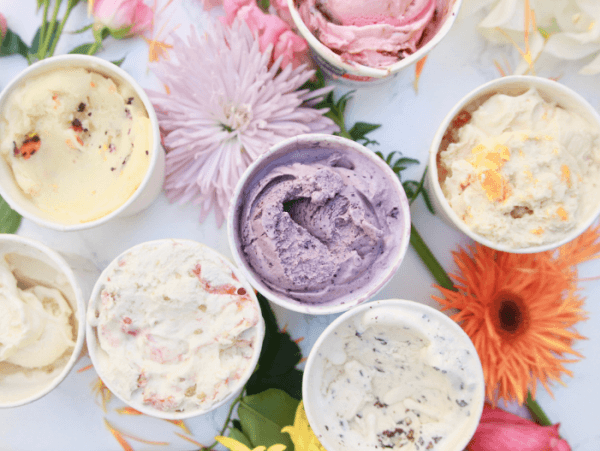 While Salt & Straw does have stores in multiple locations, the company also has a strong local food feel, which is supported by the quality of their products. To try for yourself, you can join either their Keep the Love Alive or their Get a Taste of the Sweet Life club. These both provide ice cream monthly, but they have different styles. The Keep the Love Alive club provides you with 5 different ice cream flavors each month. These are always seasonal, so you’ll be getting some exciting and unusual types of ice cream as the year progresses. Membership costs $65 per month and can only be ordered month-to-month. The Get a Taste of the Sweet Life is slightly different. It still provides 5 packs of ice cream, but this time they’re all the same flavor. A 3-month membership costs $195, a 6-month costs $390 and a 12-month costs $780. This artisan club offers ice cream from various different companies. Why stick to ice cream pints from a single place when you can join something like the Wisconsin Ice Cream of the Month Club? The club is part of the Artisan Wisconsin Made Collective, which features many different locally made products. Their ice cream club provides 8 pints of ice cream every month for 3 months. 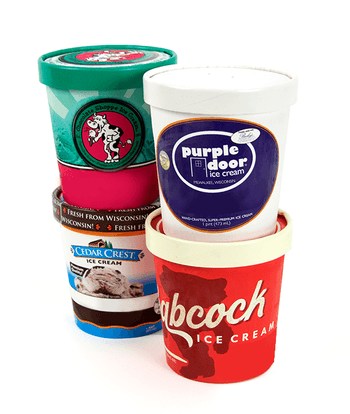 The ice cream pints all come from different companies, like Purple Door and Cider Crest. This gives you the unusual chance to experience the differences between individual small companies. The 3-month membership costs $269.90 for the duration, which averages out to around $88 each month. While this sounds expensive, the pricing is reasonable for 8 pints of ice cream. It’s also impressive. Many other clubs just offer 4 or 5 pints per month. This is a yearly pint club, offering shipments every season, rather than monthly. 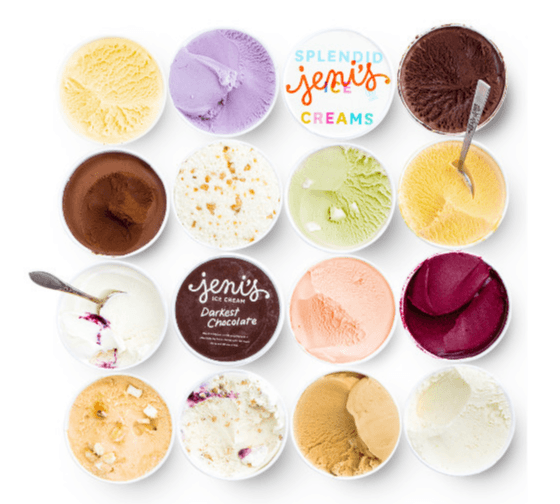 Unlike many other companies, Jeni’s Pint Club doesn’t ship out ice cream every month. 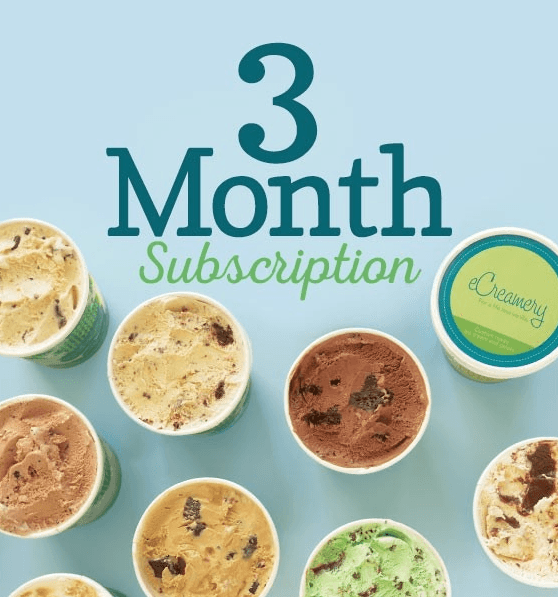 Instead, the subscription offers 4 pints of ice cream every 3 months. This means that recipients get 4 deliveries of ice cream each year. The deliveries will always contain 4 distinct flavors, with an emphasis on the most popular frozen treats from Jeni’s. The pints will often be ice cream, but you may receive frozen yogurts or sorbets instead. The subscription costs $230 per year. This calculates to $57.50 per shipment, although you need to pay for the whole year at once. There is also an additional shipping fee of $25 for some states. This New York only club has a small but attractive subscription program. There are multiple things that make MilkMade distinctive. For one thing, the company is smaller than others on the list. The ice cream is also hand delivered, rather than shipped. Because of this, you can only order from MilkMade if you live within the New York area. The subscription sends out 2 ice cream flavors every month. You are also given collector’s magnets and flavor notes about each of the ice creams. An unusual feature is the ability to choose the size that you receive. Getting 2 pints per month will cost you $35, while 2 quarts will cost $55. You can also receive 2 half-gallons for $90. The final option is an office pack. This version provides you with an entire gallon per flavor. The ice cream is packed into mini containers, making the subscription perfect for sharing. This club goes far beyond just ice cream, offering all the ingredients for amazing sundaes. This Gelato Sundae Club doesn’t just offer you ice cream. Instead, you’re getting 3 pints of gelato each month, along with sundae ingredients. The club would give you enough to make multiple sundaes for yourself or to have an amazing sundae night with your family. Unlike most clubs, this one only runs for 3 months. There aren’t any surprises either. While the months are different from each other, you’ll always get the same sundaes in the same order. This means that the club is great the first time around, but less interesting if you want to join for a second 3-month stint. You are here: Home / Monthly Clubs / 8 Ice Cream Of The Month Clubs To Keep You Screamin’ For More!